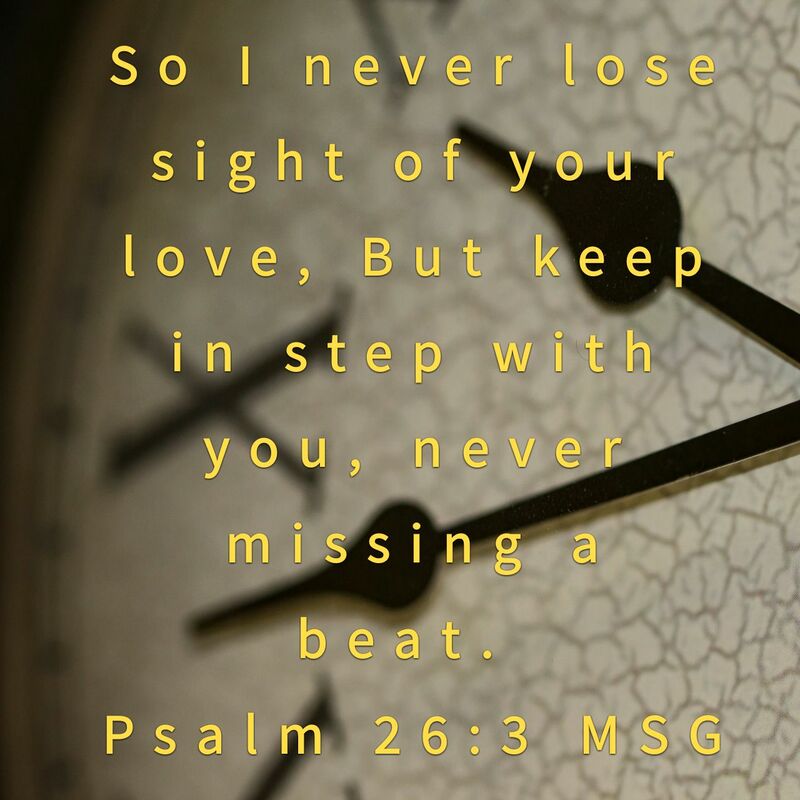 So I never lose sight of your love, But keep in step with you, never missing a beat. In music, especially the rhythm section, timing is everything. This verse (Psalm 26:3) is written on my drum heads. As the drummer of the band it is up to me to keep time. If there is a conductor I must watch his every move and keep the orchestra in time. When the conductor is not seen for some reason, or I’m playing with a small group with no conductor, the rest of the bands ears are tuned into my time keeping. I’ve played with some groups while a metronome or set tempo is clicking away in my ear. I follow that and the rest of the band stays in time. It is not an easy task but as long as I focus on that tempo everyone around me will be in time too. Real life is not the same as a song. Regardless of the way I walk (live, keep in step) others are going to play their own tune….”March to the beat of a different Drum”.